Extend your holiday by 3, 4 or 7 days in one of our Canadian airport cities. You can add days to the start or end of your holiday. See below for cities you can book and our recommended combinations (which can be reversed). Alternatively, our Tailor Made team can organise your holiday with different durations (cost from £55 per person) - call 01483 79 11 33. 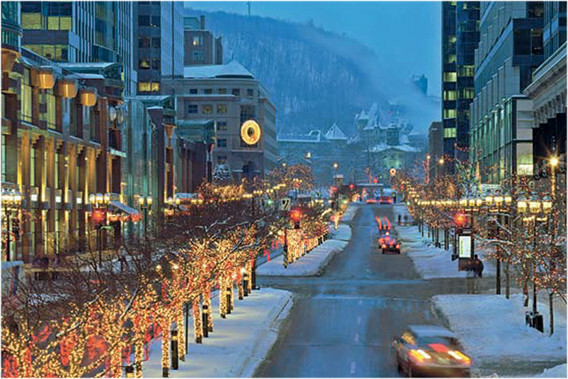 Montreal 3nts from Tue/Wed then 7/11/14nts in Tremblant. 4nts from Fri/Sat then 7/10/14nts in Tremblant. Vancouver 3nts from Tue/Wed then 7/11/14nts in Whistler. 4nts from Fri/Sat then 7/10/14nts in Whistler. Transfers to/from the airport and your city hotel are not included but can be arranged with buses or taxis. If your city add-on is at the start of your holiday, our overseas airport Rep will give you a meeting time at the airport 3 or 4 days later for your transfer to your ski resort. If your city stop is at the end of your holiday, your resort Rep will provide your airport check-in time.